In this article, you learn various ways hotels can leverage virtual reality to boost business results. Virtual reality is a computer technology, which utilises images, sounds and physical sensations to make users feel as though they are physically present in a virtual world. Virtual reality technology typically makes use of VR headsets and this equipment enables users to look around and immerse themselves in a digital environment. The concept of virtual reality has actually existed, in some form, since the 1930s, but high-quality virtual reality headsets have only become a mainstream consumer product in more recent times, due in large part to increased investment from the likes of Google, Facebook and Samsung. While many of the applications of modern virtual reality are entertainment-based, businesses are increasingly getting to grips with VR’s potential as a marketing tool, delivering important information to potential customers in a way they can actually experience, and stimulating multiple senses in the process. For example, this potentially allows customers to experience a virtual recreation of a room within a hotel, or take a look at one of the nearby attractions. 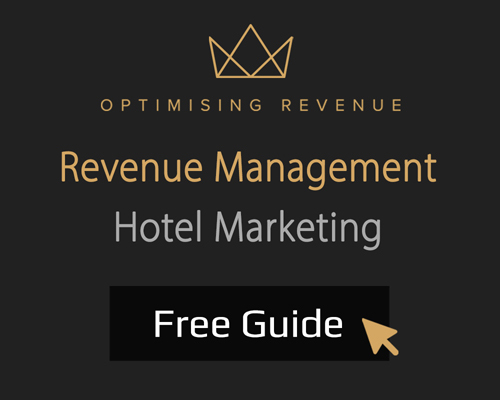 Essentially, this allows the hotel industry to benefit from the type of ‘try before you buy’ marketing that has been commonplace within the food industry for decades. Of course, the practical uses for virtual reality technology do not stop when the customer has booked a hotel room. Indeed, those within the hospitality industry can continue to use VR to deliver information and allow customers to experience nearby attractions once they have arrived, adding to the hotel experience itself. One of the most common uses of virtual reality in the hospitality sector so far has been the creation of virtual travel experiences, using 360 degree video technology. Through this, users can experience a virtual recreation of different aspects of travel, from the flight, to arrival, to some of the key sights. Three examples of this can be seen below. The first is a video showing how the basic process works, and showing people who are wearing VR headsets and experiencing a virtual tour. Meanwhile, the second and third examples are 360 degree videos, which can be viewed with VR glasses or a Google Cardboard for a more immersive experience. Another common use of virtual reality technology within the hotel industry are virtual reality hotel tours. These tours can be made available on hotel websites, allowing guests or potential guests to take a look at their hotel room, or other parts of the hotel, before they book or before they arrive. While these tours are best experienced with a VR headset, they can also potentially be made available to those without access to a headset on social media sites like Facebook, using its 360 video technology. Finally, one of the more interesting uses of VR technology in recent times has been the creation of virtual reality booking processes. This has recently been put into action by companies like Amadeus, allowing customers to look for flights, compare hotel prices and book rooms through a virtual reality headset. Would you like to learn more about other digital technologies which can benefit your business? Have also a look at the articles “How Augmented Reality is Transforming the Hospitality Industry” and “Using Artificial Intelligence in the Hospitality Industry”. With digital technology continuously evolving, it should come as little surprise that its applications within the travel and hospitality industry evolve too. In the following articles you find the most innovating digital trends in the hospitality industry.